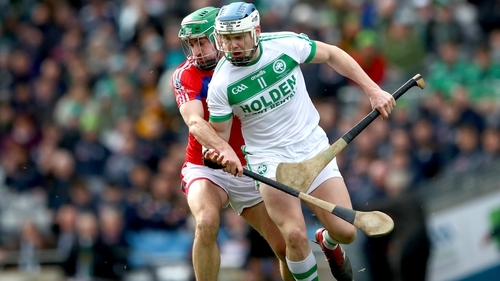 Ballyhale Shamrocks came into the game without an All-Ireland title in four years. For most clubs, that wouldn't be noteworthy, but for the south Kilkenny side it was big. A new management team came in at the start of the season led by ten-time inter county All-Ireland winner Henry Shefflin, who was aided by his brother Tommy. TJ Reid, who hit nine of their total in today's 17 point win over St Thomas', says their arrival was critical to today's success. "A whole new management came in, a whole new structure. There was a freshness, (with) young boys coming into the team. "The likes of Adrian Mullen, Brian Butler, and Darren (Mullen). "We had the previous managers for four years. He's (Henry) a modern player, in terms of how the play is changing. So we needed to change our style of play. "You saw today that we went long, and at (other) times we held possession around midfield, and we used our coolness on the ball, and we picked out passes of five or ten yards. "His leadership and his motivation (is key). If players are not putting in the effort, he's on their back straight away. "Everyone bought into it. Since last year, we put our heads down." This season also marked a first county title in four years, with Ballyhale having won six of the previous nine finals before 2014. Reid says the Kilkenny championship is the most difficult competition to win. "We let ourselves down over the last three or four years in Kilkenny," says Reid. "We wanted to get out of the county. "For us, Kilkenny is the hardest, the competition there is cruel! We always feel that if we get out of Kilkenny, we open up, and play with our heads up. "Once we went to Leinster, we won games comfortably. The semi-final was a tough game against Ballygunnar, but in the last ten minutes it opened up for us. "We knew they were a very strong team, a very physical team. But we knew Croke Park was a big field, and I suppose we used our hurling skill, and hurling brain as well." 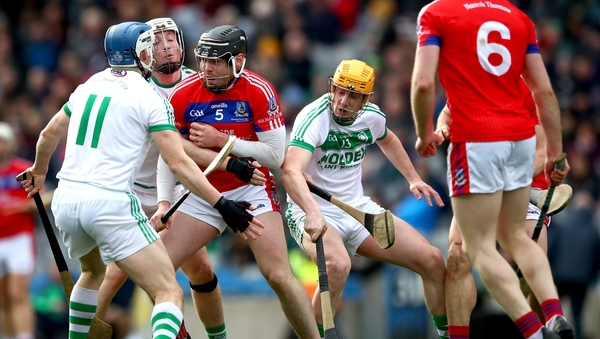 Another All-Ireland title for club hurling's most successful side, their seventh in total. It moves them three clear of the next best, Offaly's Birr, and Galway's Portumna. For Reid, it's a fourth Tommy Moore Cup, but the inter-county star says they still mean a huge amount to him. "Heading back, you've the whole parish, the community... it's a special feeling. "Hopefully I'll see Croke Park later on in the year, but that's another question. Today I'm delighted, over the moon.